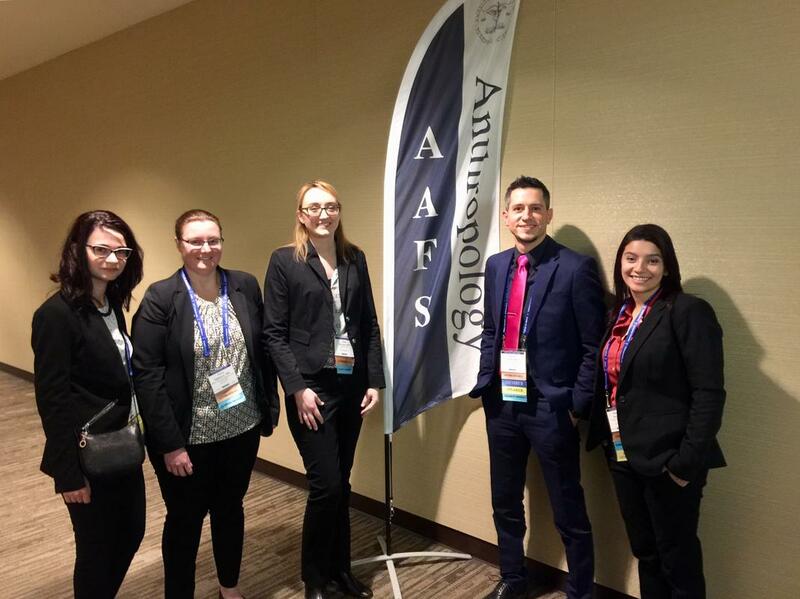 Several current and former UNLV anthropologists attended the 70th Annual Scientific Meeting of the American Academy of Forensic Sciences in Seattle, WA last week. Dr. Timothy Gocha presented original research, as did current graduate student Cristina Tica with alumna Dr. Caryn Tegtmeyer. Also attending were Mariah Moe and Maryann Calleja (not pictured), as well as alumna Dr. Katie Baustian. Thanks to all who attended for a strong showing for our department!